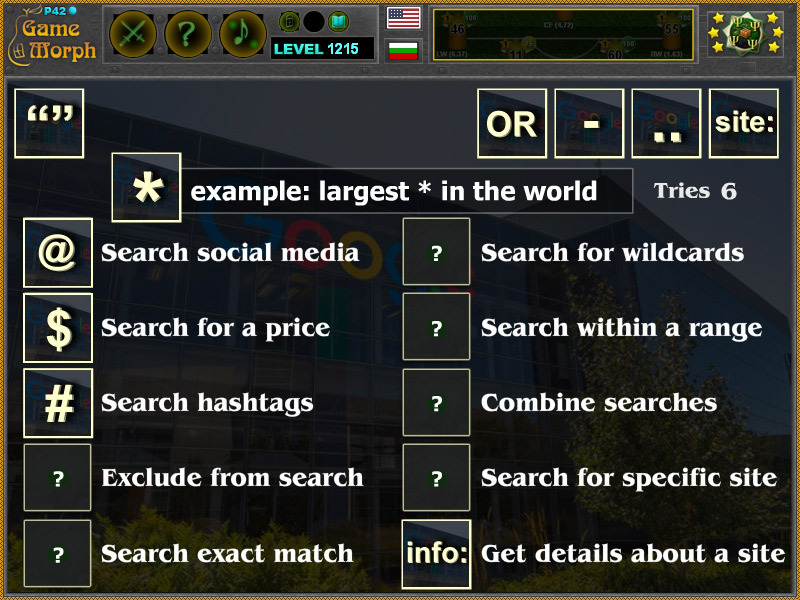 10 easy symbols to make search work better in a fun online IT learning game. "Web Search Symbols" is a free online knowledge level game to study special characters for advanced web search. Minute to win it game. Computer Technology Class for desktop computers, laptops and tablets, which may be played in the web browser. Sort the symbols in the correct search query. Computers learning game, suitable for online classes and interactive lessons. Free online educational game. Effective Finding Information Lesson 2 for 8 grade clasroom game.
"" - Search for an exact match. 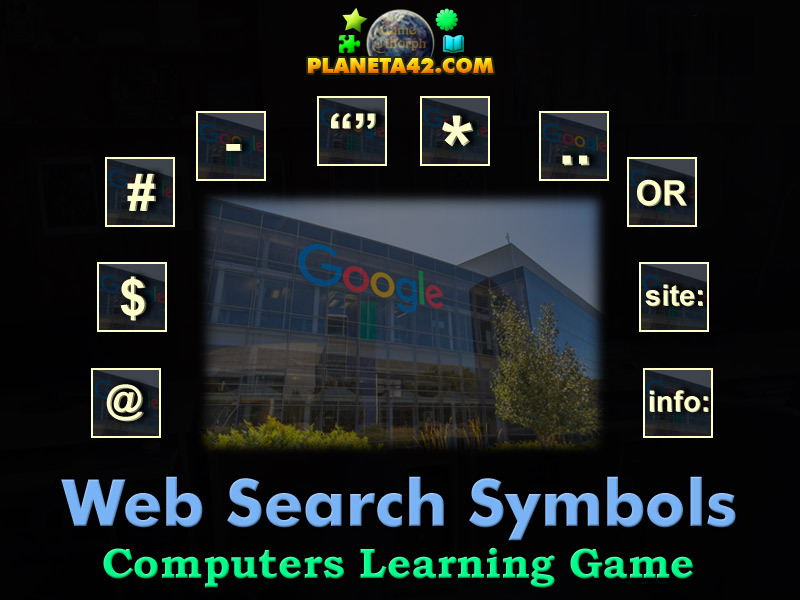 Example: "online education games"
How to play Web Search Symbols. There are 10 symbols and special characters at the top of the screen. Drag and drop them in the correct search query at the center of the screen. Every character will help you with an example of the search. Know 5 ways to perfect web search and get +1 Knowledge Level. Class subject: Effective finding information. In present days web searches have become better and more"clever". The search engines themselves have some special algorithms to understand the specific person, to give him exactly what he/she is probably searching. In riality this hardly happenes, because we humans are irrational. That's why there are some special symbols we can use when searching google for example, so we can faster find what we are searching for. This fun game is an interactive practical lesson to get to know the advanced google search tips, search engine symbols meaning and google search operators. Labels: Games about Computers , Internet Games , Puzzles , CS Games , Education Games , Computer Science Games.